Speed is reportedly controlled via an integrated sensor with a pseudo-semi-automatic action. That is, when the stylus reaches the end of a vinyl side, playback stops and the tonearm lifts. From what I can see, the arm is not returned to its cradle, though. If this is the case then this compromise will improve sound a touch because the gearing for tonearm return will not need to be included. Such gearing all adds noise to the turntable and lowers sonic quality. The “newly engineered” S-shaped tonearm is fitted with a moving magnet cartridge (looking like an Audio-Technica AT3600 with, if so, a spherical stylus). 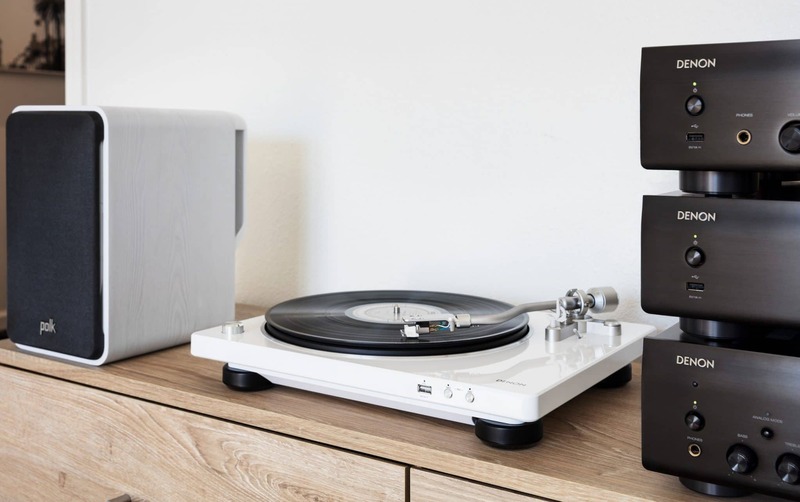 The built-in phono stage can be bypassed, allowing the turntable to be used with external models. The DP-400 comes complete with an “exclusively designed” dustcover, doubling as a “display stand for an album sleeve”. To edit recordings on a PC, Denon offers MusiCut software for Windows 10. 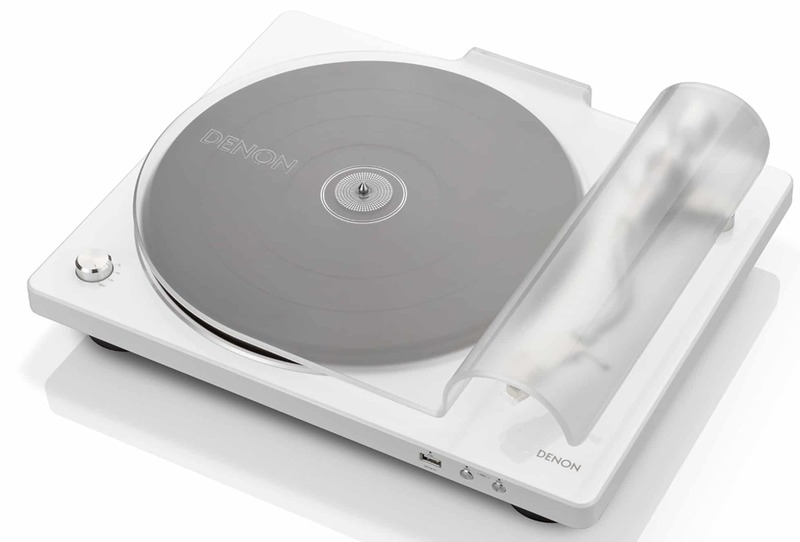 The MusiCut software can be downloaded from the Denon website free of charge. Prices? The DP-400 fetches £449, while the DP-450USB is priced at £529. I’ve put a request in Geoff – fingers crossed. I own the DP-400, for the money, it is what it is, nothing fancy here. It is semi-auto, in that the tone arm raises up at the end of the album and turns off the TT, it has no return on it. I also own the Denon DP-300, so I have something to compare it too. 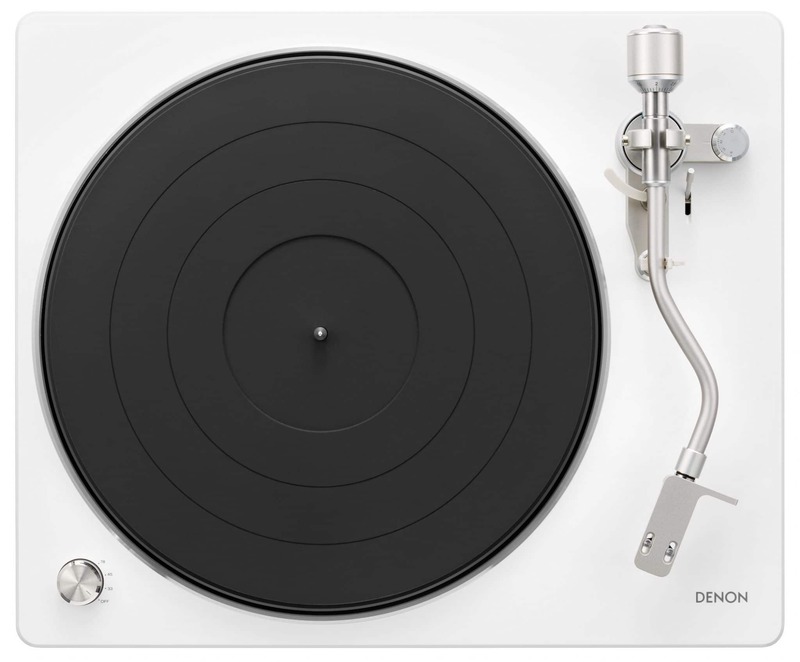 The DP-300 is full auto, returns the tone arm and turns off the TT. The good. The DP-400 is semi-auto, as stated above, one of the reasons I bought it. It also has RCA outputs, I can use the cables of my choice, along with a ground stud, the other reason I bought. I like to use my own cables and wanted to be able to ground the TT. Setup was pretty straight forward, I also like the fact that you can use head shells from other cartridge manufacturers, that was a huge plus. The Denon DP-300 offers none of this. Setup was again, straight forward. Protractor and stylus scale, I had her dialed in, and did the same with both cartridges as I figured out which one will stay put on the tonearm. 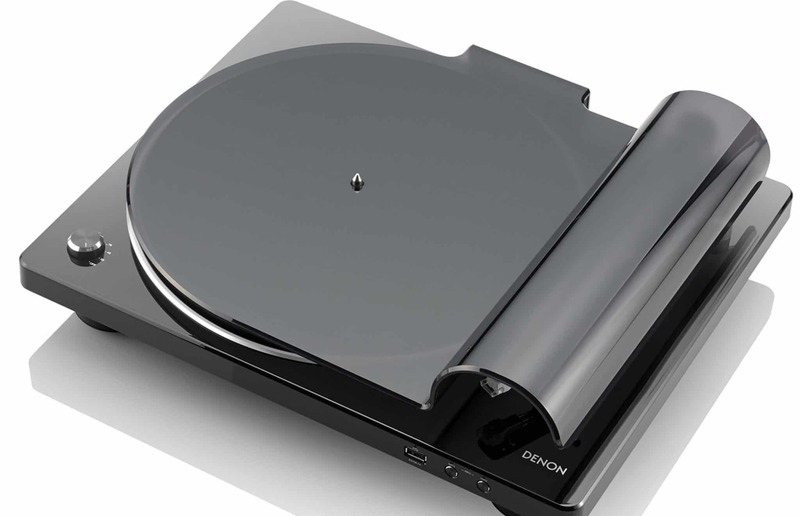 I have two cartridges, the Ortofon 2M Red and the Denon DL-160. The Ortofon came with the TT for $29 extra, so I bit. I removed the cartridge that came with the TT and put it away. I’ll make this quick, the Ortofon stunk, like a $30 cartridge, leave it at that. The Denon DL-160 sounded just as I expected, incredible. As it did on the old DP-300. The setup… DP-400 to Schiit Audio Mani preamp via Mogami interconnects. TT grounded to preamp. Preamp out to the Schiit Audio Loki, which can pass through, I used with and without, unplugging it. The Mani offered an incredible amount of control. From there, out to the Schiit Audio Freya tube amp, then out to my Emotiva XPA-2 amplifier which is feeding two SVS Ultra bookshelf speakers. Now, the bad… I wish this thing had a proper dust cover and adjustable feet. Well, I built my own cover. I went to Amazon, bought a nylon Digital Dustcover dust cover, reenforced with a piece of 1/2″ pine cut to size and used threaded rod for the legs. I installed clear rubber feet on the ends of the rods and used heat shrink tube on the threaded rods so as to not scratch the plinth. The cover slips right over my new stand, which easily slips over the TT, and it is strong enough to support the cat. You know how cats are… I shimmed the feet on the TT, not that big of a deal. 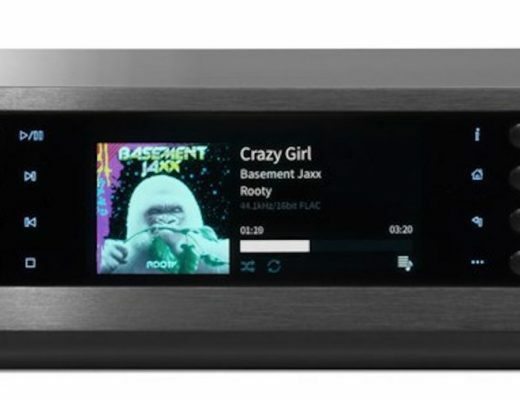 No, this is not a $1000 TT, and I did not expect one, I simply wanted the auto feature, to be able to use my own cables and ground it, the Denon does this. 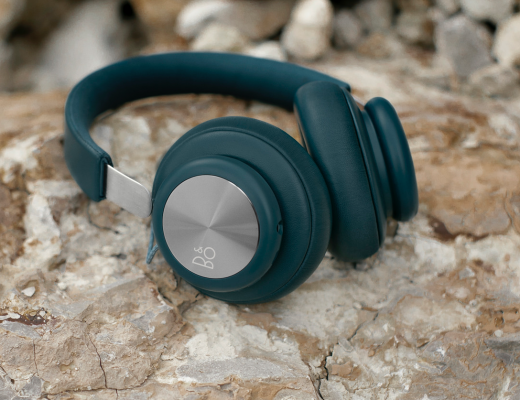 No, it is not a piece of artwork to be admired or will it turn an audiophiles head… But, with proper setup and good gear down stream, the sound, at least to my ears, is incredibly good. It sounds much better than the old Denon DP-300, which I had grounding issues with, I could never get the hum out of it at volume. 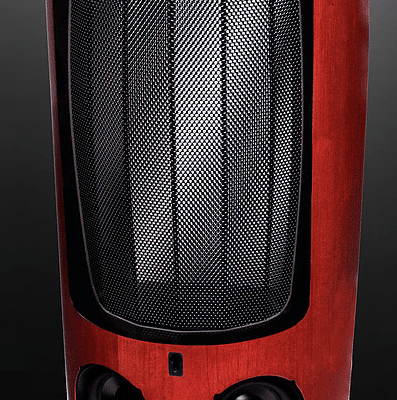 The new DP-400 on the other hand is dead silent, no hum, no distortion, just silence. I can play at volume, and the sound is crystal clear, some folks thought I was playing a CD, it is that good. So, if you are looking for a semi-auto TT I would recommend at least looking at the Denon, and yes, it has it’s shortcomings, but for a few dollars they can be fixed. And install a quality cartridge. I’m keeping mine. Excellent! Thanks for taking the time on this Mike. Very nice of you. You are quite welcome! Love the site, very good reviews. Hi Mike, I just bought one and the auto shut off doesn’t seem to work. Do you have any pointers? Thanks for the review and comments. 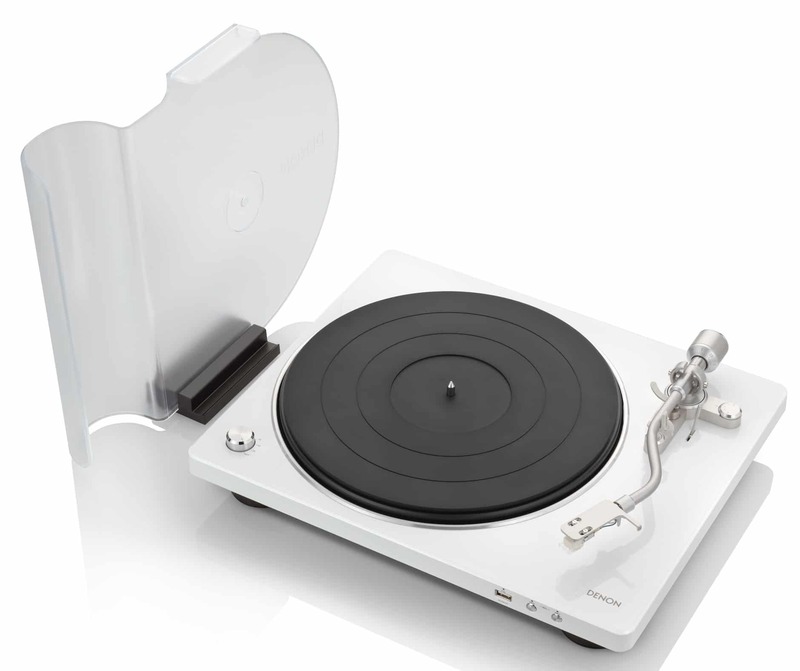 I currently have a AT-LP3 in white, Upgraded the cart to a VLM540. I was sold on the auto features but really liking the benefits of the DP400 and would get it in white. Just wondering if there are any other fully or semi turntables out there. I see that Dual makes them overseas but not sure I can do the AC conversion cleanly. Oh and I really like the white, so clean!! Any thoughts, Suggestions? What sort of budget figure were you thinking of, Rene? 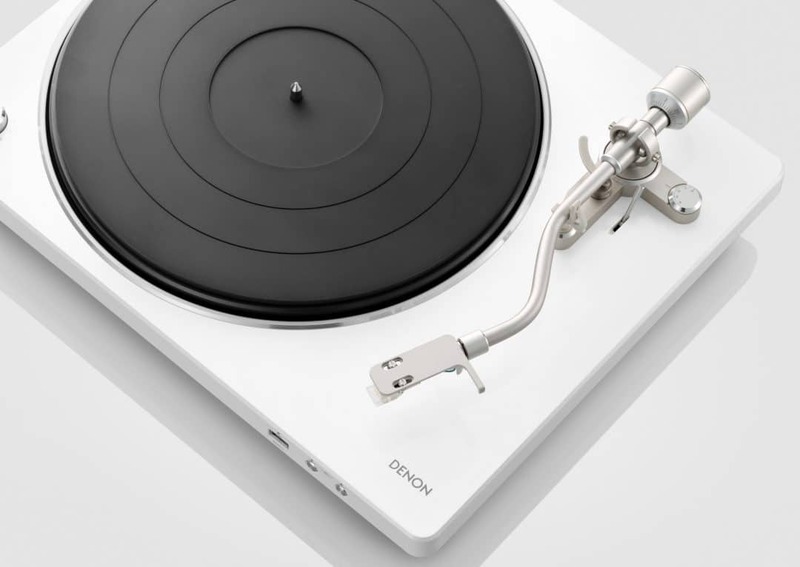 I haven’t seen the Denon up close but I think you remove the cover totally. If you look at the picture above of the cover, that little black bit at the bottom? That’s a stand to slot the LP sleeve currently playing, as temporary storage. Thanks Paul, I was thinking between 500-$700. I’m still debating whether or not I want to deal with that dust cover. 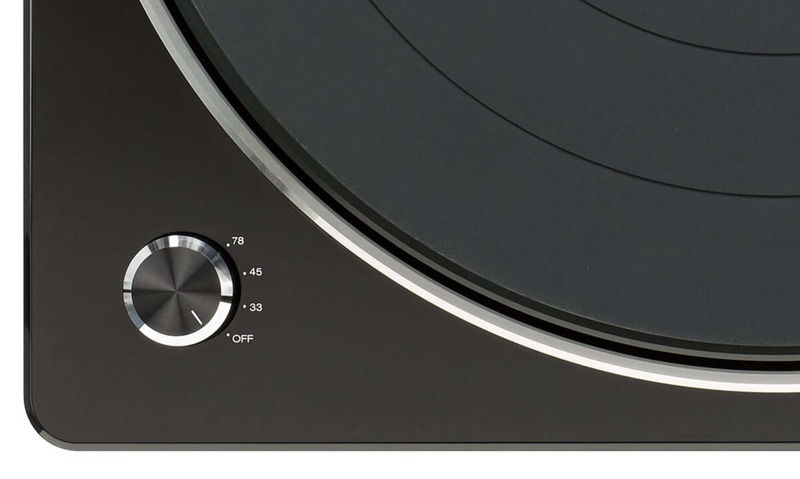 Seems like Denon was trying to do something different and I’m not sure I like always having to remove and replace the dustcover. I like the other features of the TT. Separate RCA and AC power supply, removable headshell and of course white are all great selling points.